THis is an original color aquatint etching by French artist Manuel Robbe. 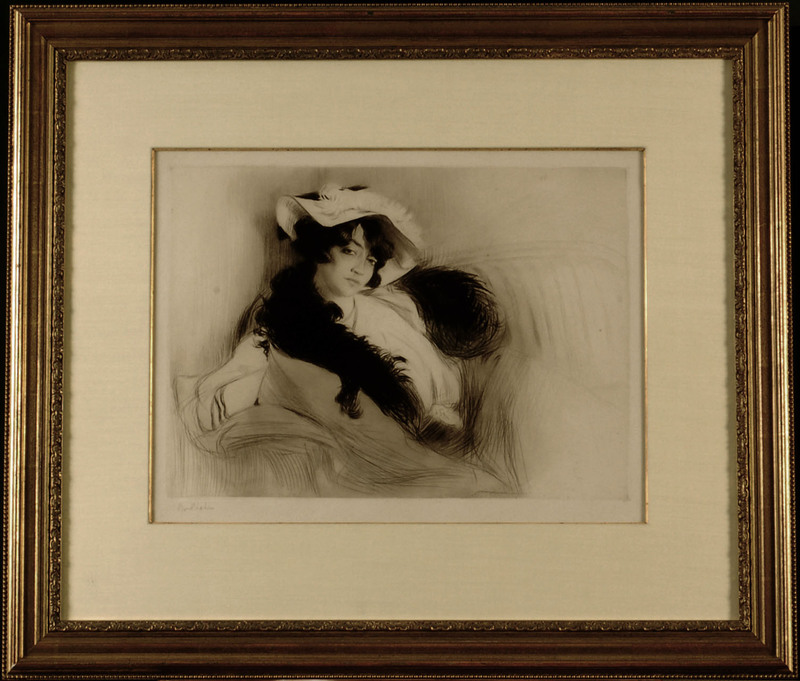 This etching titiled: "Les Liseuses", The readers, also known as The Picture Book was created and printed in 1903, It is editioned as 45/65 in pencil lower left and hand signed by the artist in pencil lower right. The image measures 19 1/8X14 7/8 inches. 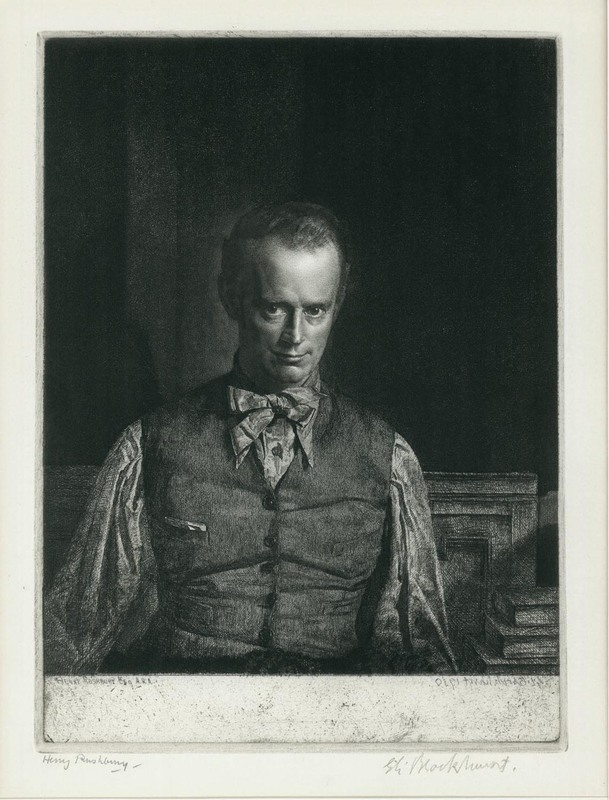 This etching is nicely framed with archival materials. C. 1912. Pencil signed in the lower right. Plate initialed and dated in the lower left. Plate measures 11 3/4 x 7 3/4 inches on 16 1/2 x 11 1/2 inch watermarked Van Gelder Zonin laid paper. Catalog: Hjert and Hjert 209. A rare print. 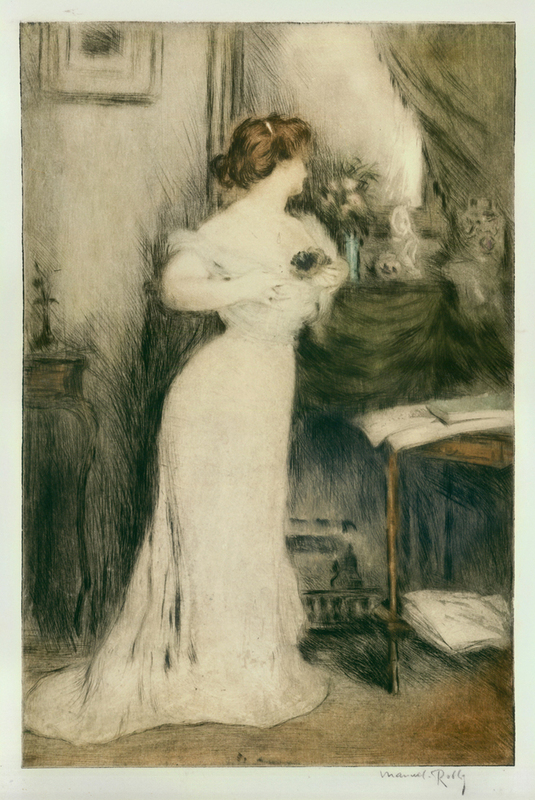 This is an excellent portrayal of a pensive woman with a rich drypoint burr. 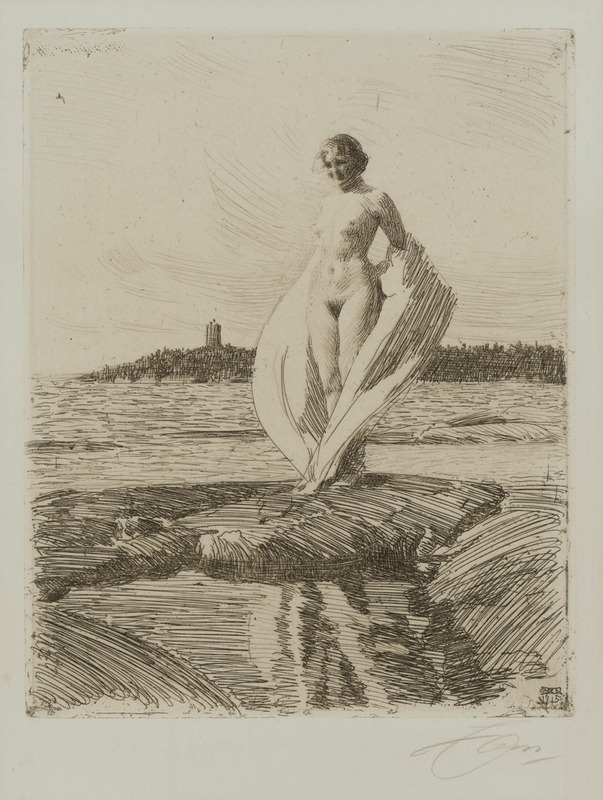 Anders Zorn's artistic talents were obvious at an early age. 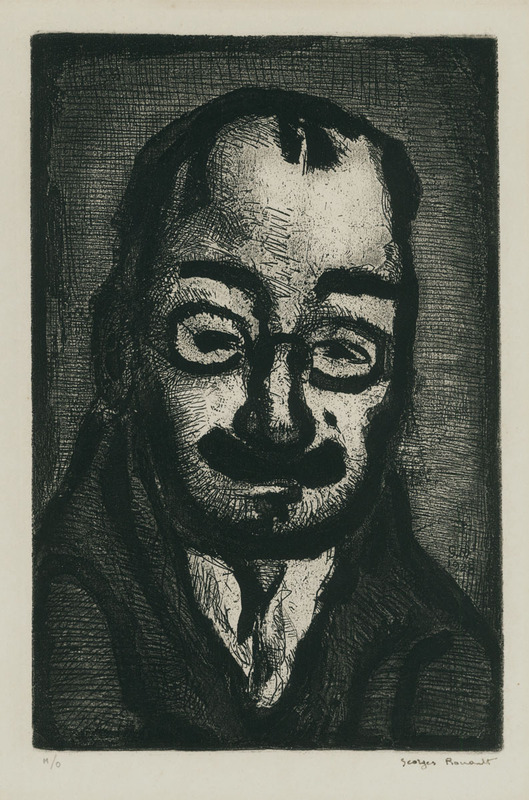 At 15 he entered the Royal Swedish Academy of Art in Stockholm and at 20 years old, at a student exhibition, he entered his watercolor painting "In Mourning" which now hangs in the National Museum in Stockholm. This recognition was the start of a long and accomplished career for Zorn. A fine atmospheric scene of Venice by Scottish artist James McBey. 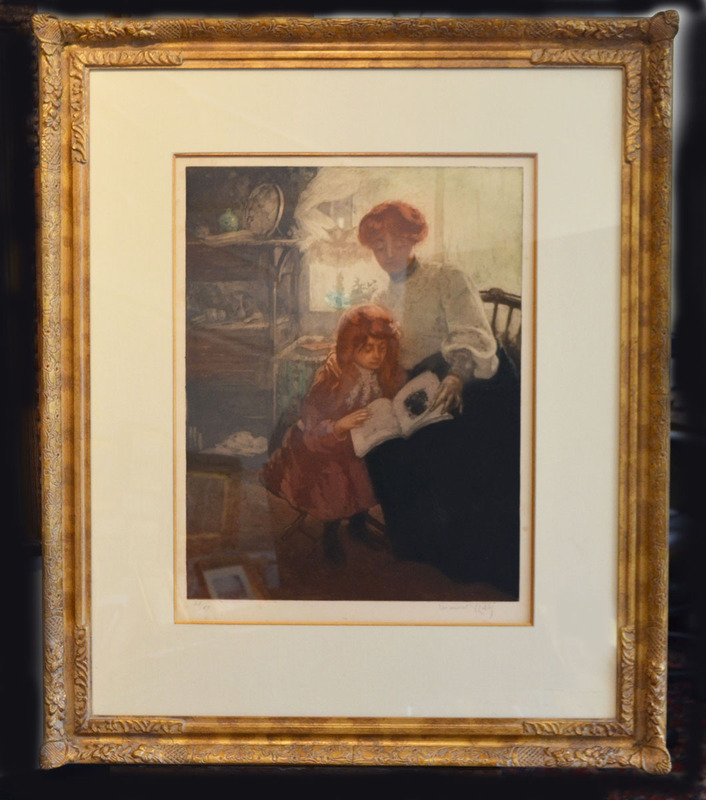 The image size is 8 1/8X9 7/8 inches, created and printed in 1925 in an edition of 80. Hardie-236, hand signed in ink and numbered XIV, printed on a cold toned paper. Archival matboard and framed. 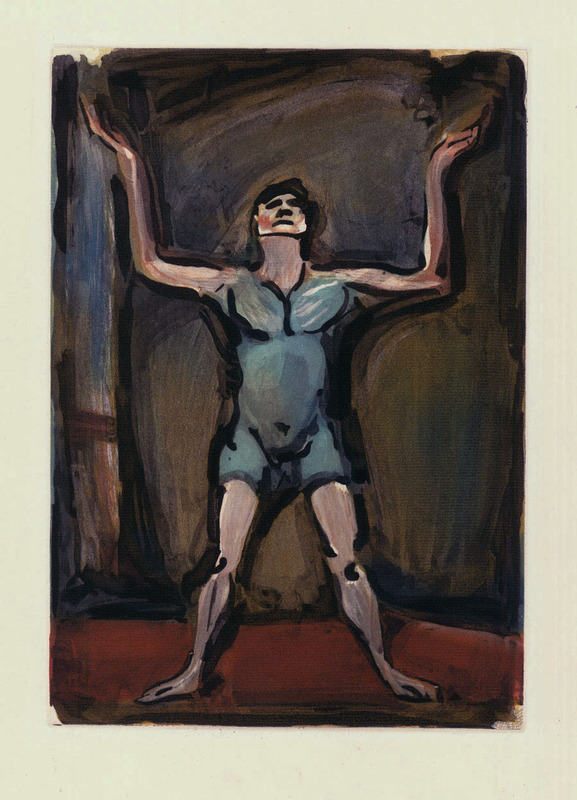 This color aquatint etching by the French Expressionist Georges Rouault measures 12 1/8 x 8 3/8 inches, plate signed, from the "Circus of the Shooting Stars" series, a group of eight color aquatints created in 1930, on Rives BFK laid type paper, initialed and dated in the plate, lower right, edition of 270, cat: Wofsy-212. 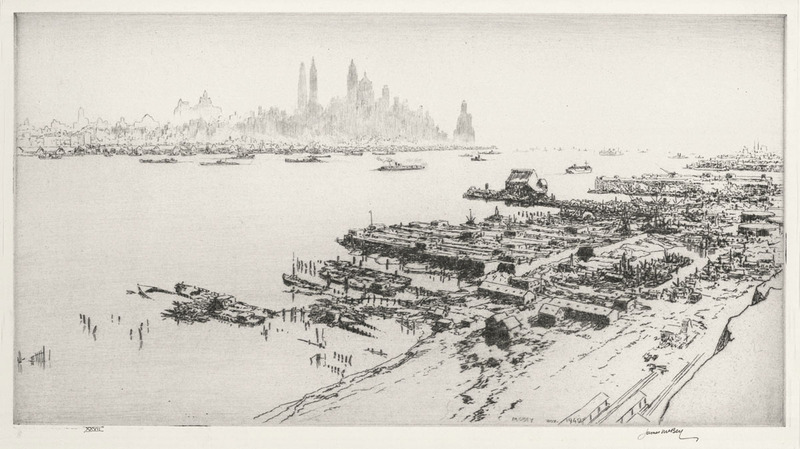 A remarkable etching by James McBey of the New York City skyline from Weehawken, NJ, this etching measures 8 x 14 7/8 inches, 1940, cat: Hardie-277, plate signed and dated, hand signed and numbered "XXVII" in ink. 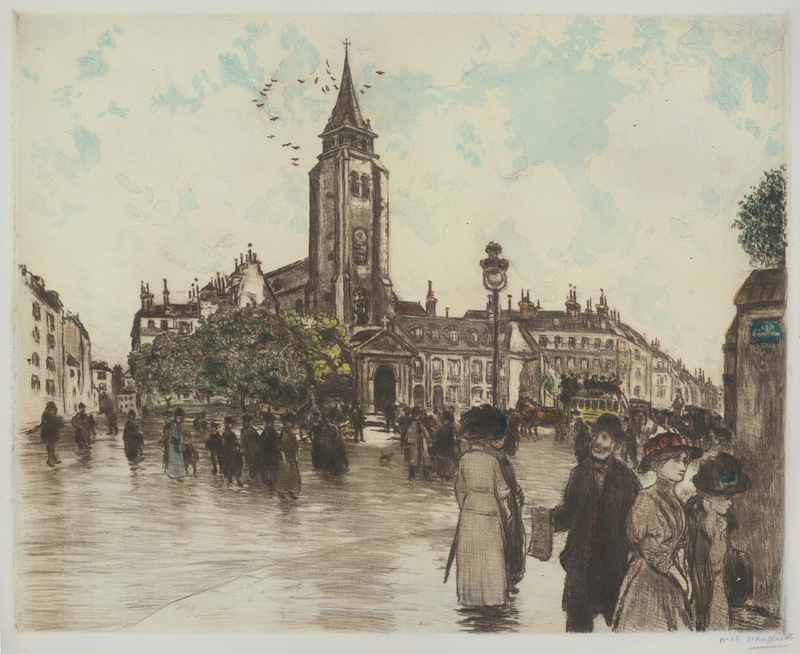 Born into poverty McBey was primarily self-taught, becoming a very well respected artist and leading figure of the British Etching Revival. 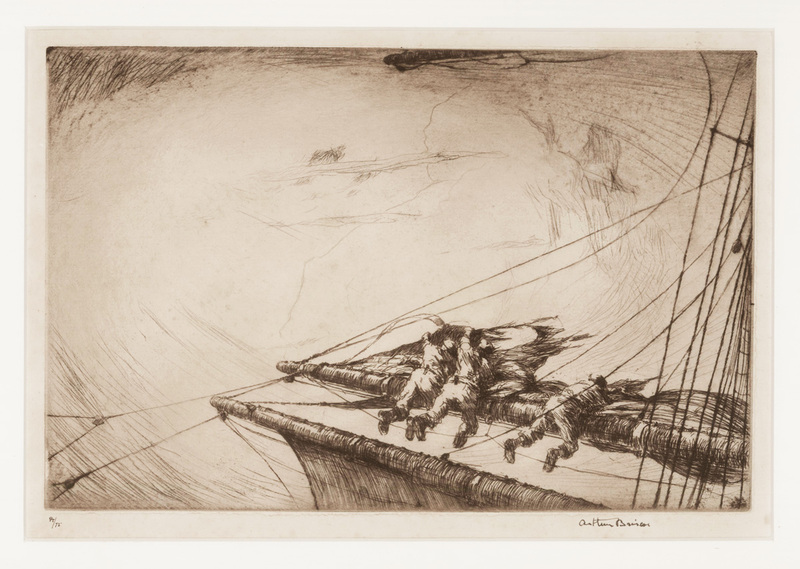 He traveled extensively throughout Europe, America and the Middle East, creating remarkable etchings of the places he visited. McBey lived in New York for several years, and his images of the city are considered some of his finest work. 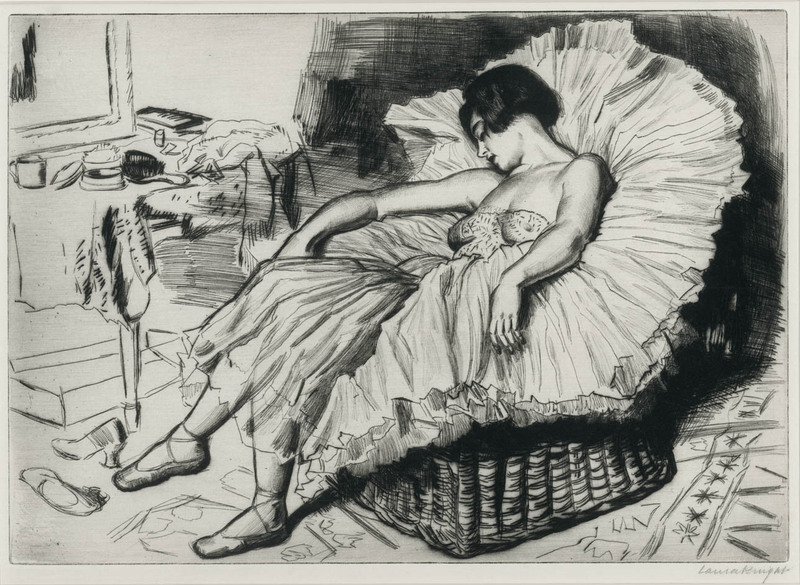 This is an original etching by Well known Belle Epoch artist Manuel Robbe (1872-1936) The title of this work is: "Parisienne", it was created and printed in 1906 in an edition of 200, published by Georges Petit. The image measures 19 1/2X13 1/2 inches. 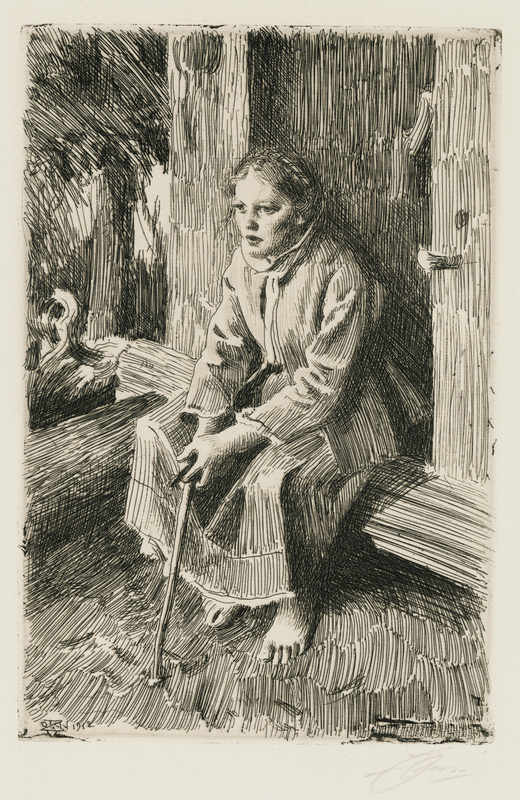 It is signed in pencil lower left within the image. A fine impression, previously sold by Merrill Chase galleries. Robbe studied at the Academie Julien and the Ecole des Beaux Artes in Paris. 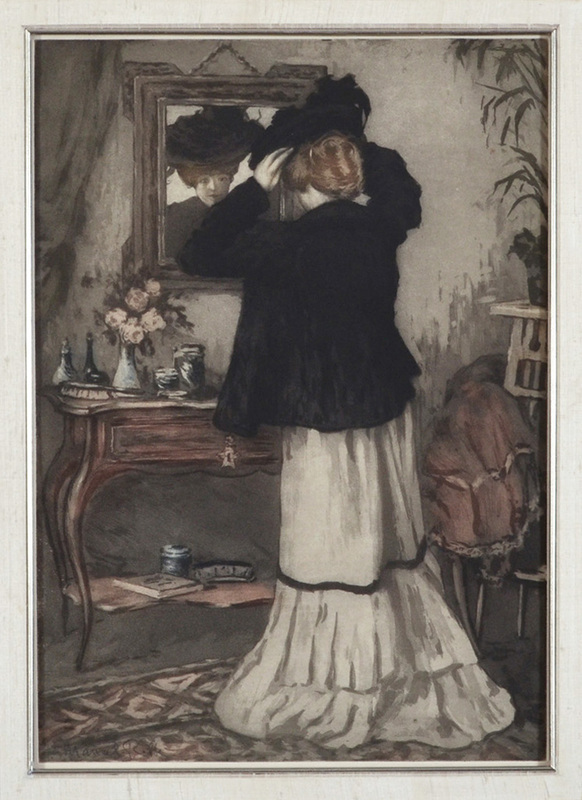 This is a colored drypoint, aquatint, and soft-ground etching from 1910. The plate measures 14 3/4 x 18 1/2 inches on 19 x 24 1/2 inch watermarked Arches laid paper. Pencil signed in the lower right. Edition of 200. 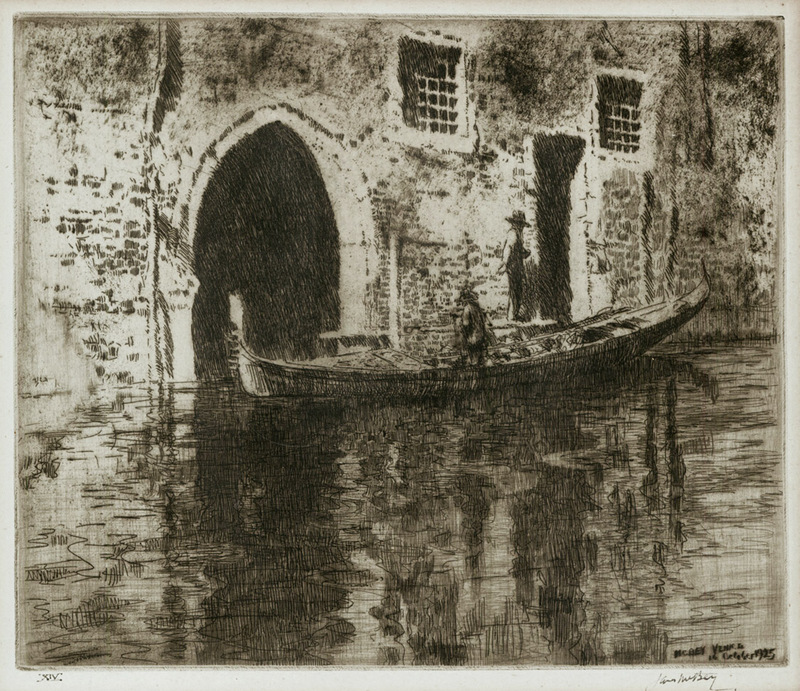 This print is a fine example of Raffaëlli's impressionistic tendencies, with th subtle lighting and the atmospheric sky.